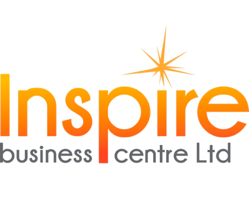 A modern office unit is currently available at Inspire Business Centre. The unit is 484sq ft and available for immediate occupancy. A modern office unit is currently available at Inspire Business Centre. The unit is 950sq ft and available for immediate occupancy. A modern office unit is currently available at Inspire Business Centre. The unit is 560sq ft and available for immediate occupancy. A spacious office unit is currently available at Inspire Business Centre. The unit is 377sq ft and available for immediate occupancy.